I like rats. I really do. Not the wild ones that overpopulate DC and other urban areas and cause both men and women to shriek out loud and climb on chairs. But I like pet rats and I adore a well made stuffed rat. 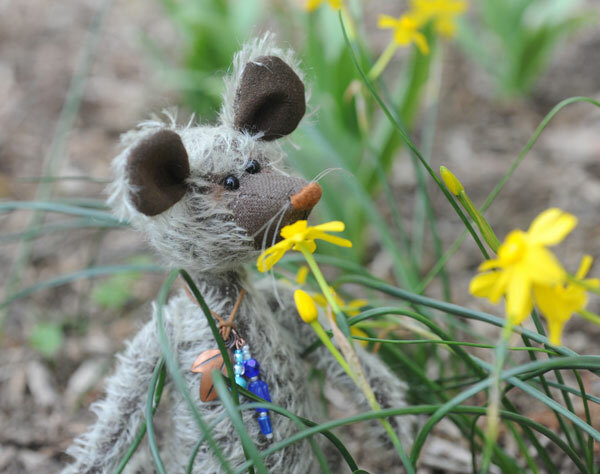 I purchased a rat made by Out of the Woods Originals at a bear show several years ago. One became two, then three and I had a mini collection. Then I wanted to design and create my own rat. My first attempt was pretty good until I got a look at the body shape. What is that? Much better. Rounded belly, not triangular. Adding some depth with color around the eyes and ears helps with defining the character. 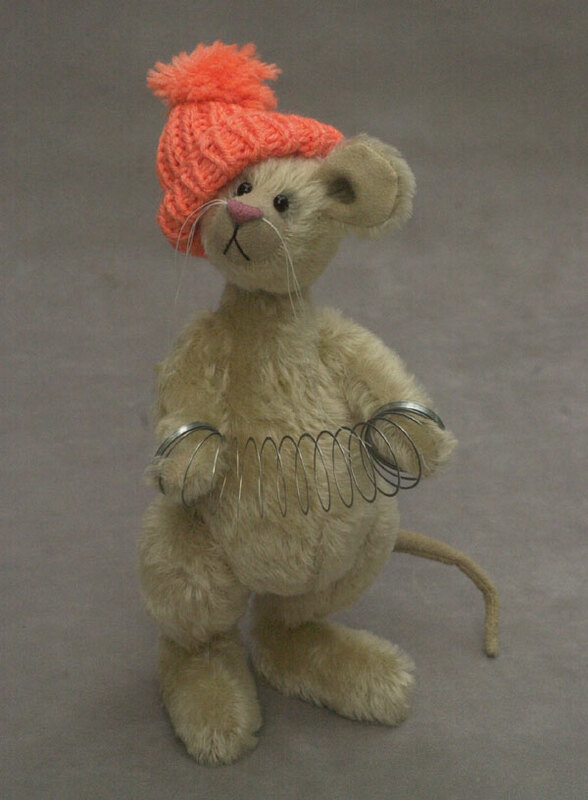 Oh, and the hat – well, the hat makes the rat! But in the back of my mind, there was one rat still not created. My sister Tricia wanted a rat in red sneakers. She had a name for him to0 – Vermincelli. 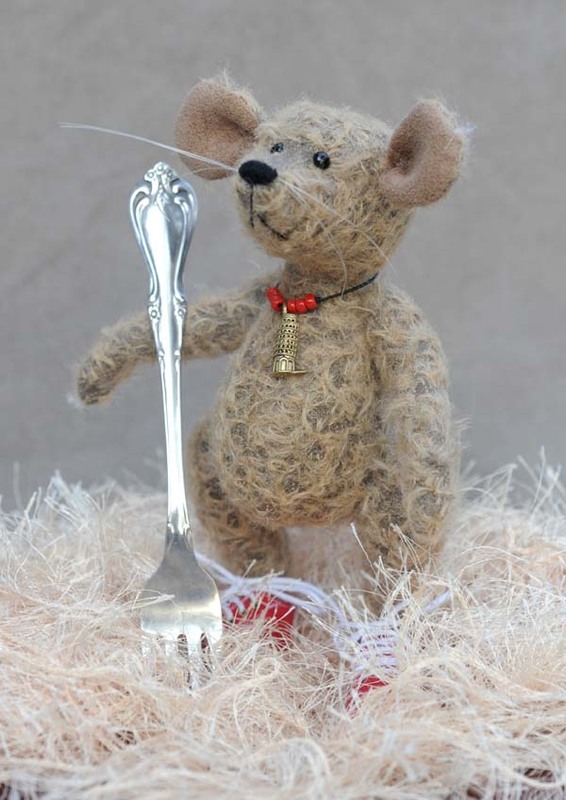 A gourmand of a rat, if you will. 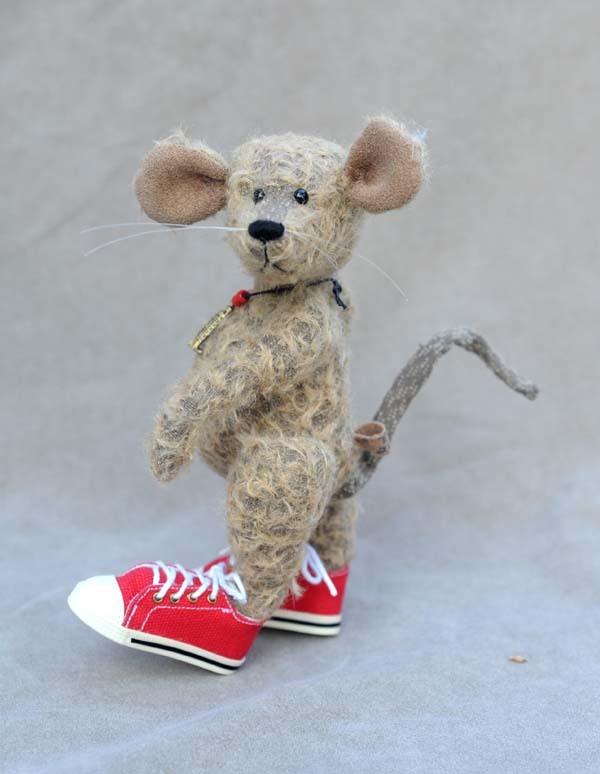 But finding red sneakers to fit a rat isn’t easy and the project seemed to be continually on hold. Until the past January, when I walked down an aisle at IDEX in Orlando and saw a pair of small red sneakers. Made by Jaime Show for a 16″ fashion doll, I wondered if they might really work. Back home in the studio, I pulled out the patterns for the rat. Now, Edgar was about 11″ tall – and the feet were way too big for these shoes. So, back to the drawing board to design a smaller rat. Yes, I think that will work just fine. And maybe a few props for the photo shoot? Tricia is quite pleased with her rat. The rats continue to multiply, as rats will do. 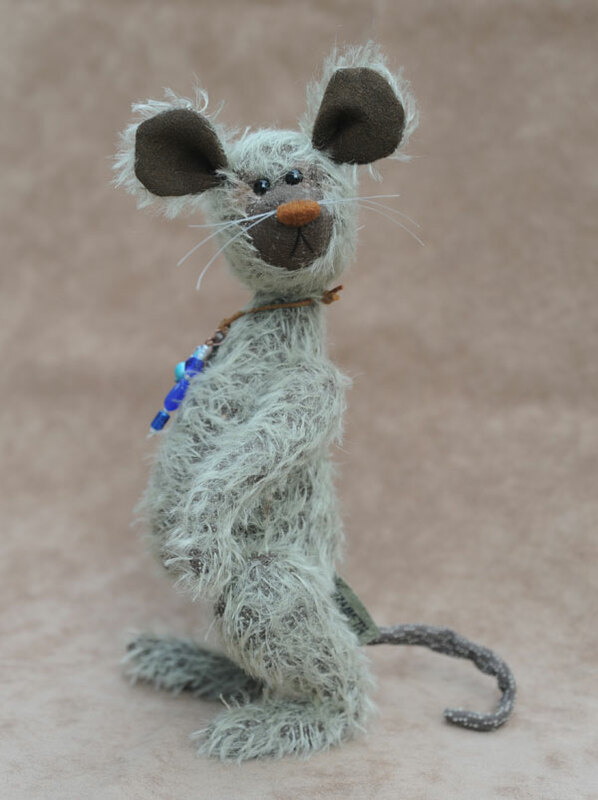 The newest is Nigel, a rat who is rather pleasant, as rats go. 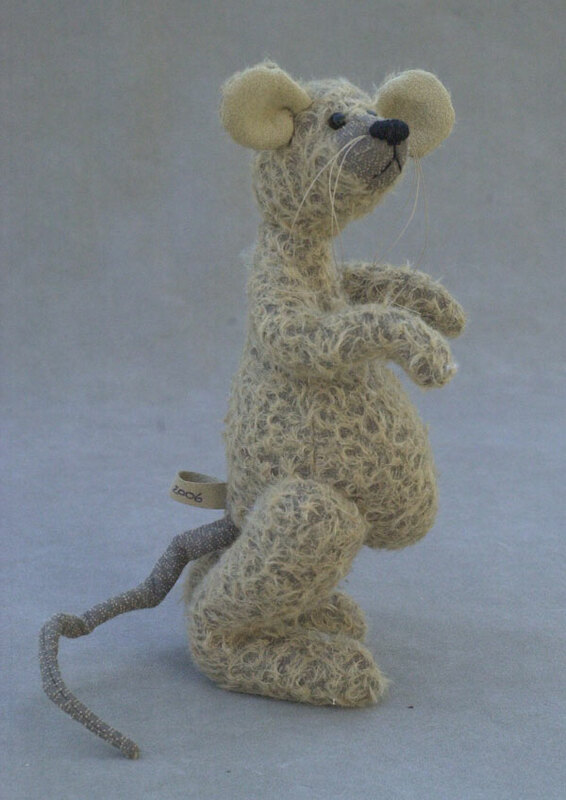 He is a small rat, about 7″ tall. He will soon be available in my etsy store. 1 Response to Oh Rats! Adorable!!! 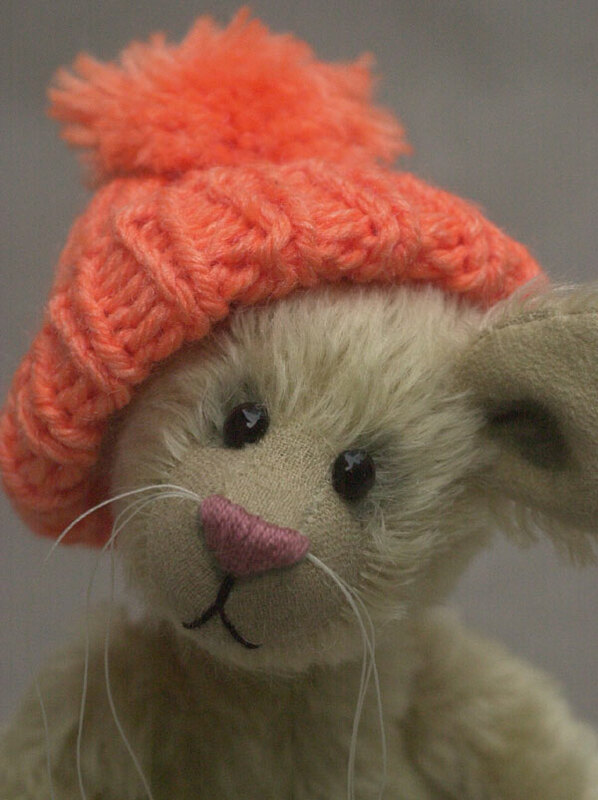 You could write childrens’ books with these photos and your fun characters too! Your talent is endless!